Let me begin by saying, FINALLY! This book hit the nail on the head when it comes to hedgewitches. If you are a frequent reader you have seen me complain quite often that many witches and authors get hedgecraft wrong. While it is not a new path per se, it is under-researched and often overlooked tradition. 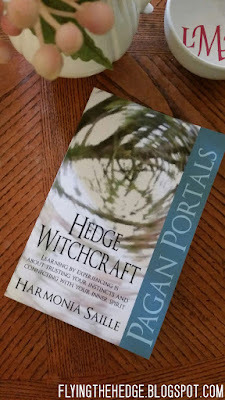 Harmonia Saille does an excellent job giving a very brief introduction to the hedgecraft in her book Hedge Witchcraft. I give the book 5 out of 5 stars for accuracy and accessibility. Anyone interested in hedgecraft can pick up this book and have a general understanding of what a hedgewitch is and how they perform magic. However, as I always do, let's start with what I didn't like: the length. The book is under 100 pages long and therefore only glosses over information which she says will be covered more in depth in her next books. Unfortunately, only one of those books, Hedge Riding, has been published. It doesn't look like the other is going to be published at all which is very disappointing. Again, because of the length, most of the topics are not covered in much detail which can be somewhat confusing for those not already familiar with witchcraft. However, it still accurately describes hedgecraft in a simple, easy to understand way for anyone unfamiliar with the path. As for what I loved? Just about everything else. Harmonia is a practicing hedgewitch with Irish influences. She makes it very clear this is her path, and that most hedgewitches do not follow the same deities if they follow any at all. She also explains that hedgewitches don't often perform elaborate rituals, use tools from nature, and work with the Earth, seasons, and moon phases. Furthermore, she makes it clear that the biggest distinction between hedgewitches and other paths is hedge riding, a form of astral travel, meditation, and divination combined into one ritual, which she briefly discusses. This is somewhat different from other paths, especially Wicca, that are often very formal in nature and lack these trance-like states. Hedgewitches walk between worlds and can often do so whenever and where ever we are. My favorite part, however, was her statement, "All you need is you." I cannot stress this enough. Magic comes from within you. No amount of tools, crystals, herbs, or incenses will make you a powerful witch. You make the magic. 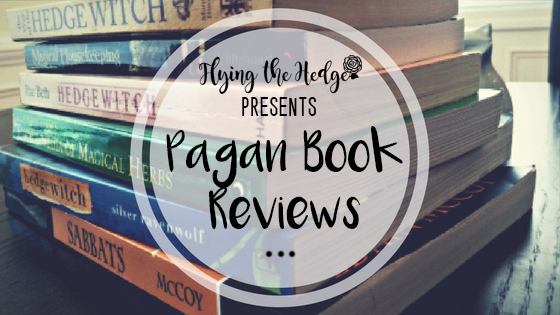 She briefly covers the 8 sabbats from a hedgewitch's point of view, discussing how she chooses to celebrate the festivals. I particularly enjoyed this section because she thoroughly explained why she does what she does from a non-Wiccan point of view. Many books discuss the sabbats in terms of their history and the current Wiccan traditions. Harmonia does not and it is a breath of fresh air. She makes it clear that you should connect with your local deities, traditions, and Earth to make the festivals meaningful and enjoyable. She also puts forth the idea of using 4 Goddesses instead of 3. I strongly connected to this small section despite not following a deity-centered path and would like to elaborate on it more in another post. Her sections on the elements, tree magic, and herbal lore are brief, but enough to give an excellent introduction. She mentions trees and herbs she tends to use often, making the selections more meaningful than a compiled list of every tree and herb used in magic. The last two sections briefly discuss folk magic and divination. These sections are great for those new to the craft looking for some clarification or just an introduction. 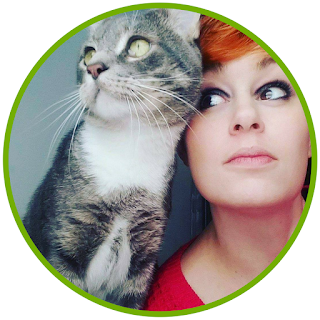 Throughout the book she talks about her personal experiences, drawing the reader in as if they were a dear friend sipping tea in her living room. The personal tone made the text easy to connect with and read, making it great for witches from all walks of life. I very strongly recommend everyone read this book to not only clear up some misconceptions about hedgecraft but also bring back that sense of awe and wonder for the craft we sometimes lose when life gets in the way. Let me know what you think about any books you have read in the comments below. I am always looking for new materials to read!